What an amazing design. 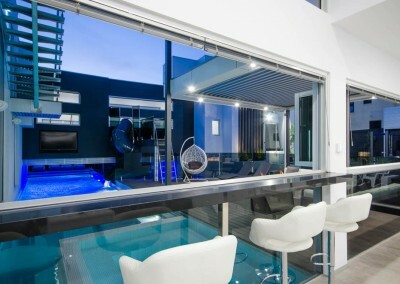 All aspects of this custom-built home look into the pool and spa. In fact, the entire home wraps around the pool and spa which is guaranteed to impress. The pool is also completely out of ground and was installed as one of the first elements of the home build; the house is actually built on the pool wall. 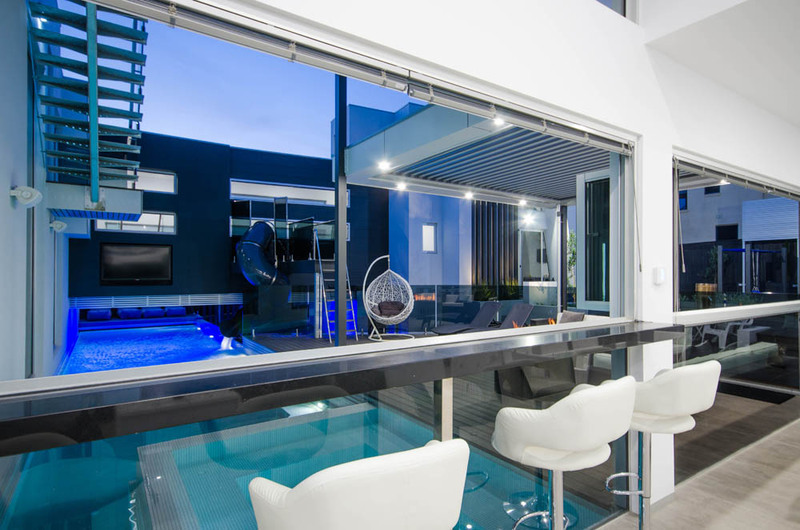 With an entertaining area featuring an outdoor TV, bar stools, and a complete bar area covered in glass, there is so much to like about the lifestyle this design brings. 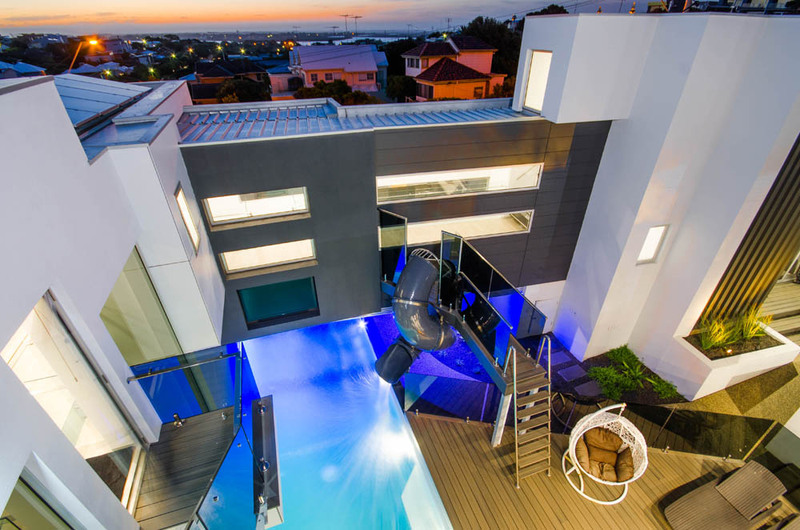 Whether you are entertaining adults or kids alike, the waterslide provides both entertainment and tranquillity all year round. Thinking of building a pool and spa for your home?